Cape Diamonds is a workshop for artisanal, bespoke, handcrafted jewellery in the heart of Cape Town, South Africa. At Cape Diamonds we know that purchasing an engagement ring needs to be an informed decision as it is an emotional and financial investment. Clients are advised to do research relating to various types of diamonds. Please read all our diamond info as it will assist you in not overpaying for South African Diamonds. Our studio is registered with The Jewellery Council of South Africa and has an account with the Gemological Institute of America (GIA). All GIA-certified diamonds sold by Cape Town Diamonds contain a unique serial number laser-etched onto the girdle of the gemstone linking them to their unique certificate. Diamonds with no serial numbers that you might find being sold on the internet by other dealers can have fake certificates. The GIA certificate stipulates the diamond clarity, colour, cut, shape and size or diamond carat. of perfection, making the stone more desirable and valuable. 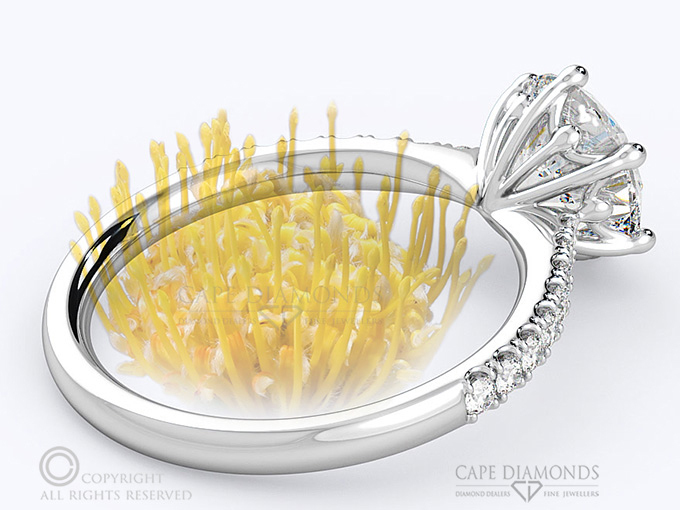 inspired by the beautiful and diverse floral kingdom of the Cape in South Africa. of rings is unique to Cape Diamonds. 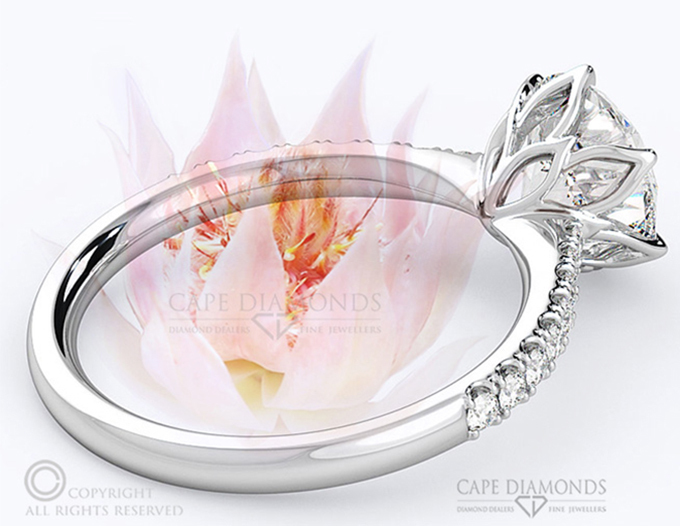 Browse through our Fynbos engagement ring collection. diamond visibility in a sleek, elegant setting. or simply a beautiful solitaire ring. handcrafted engagement rings in South Africa. will find in South Africa. WE OFFER A COMPETITIVE QUOTE! Sales tax may be added in final quote. Copyright © 2019 Cape Diamonds. All Rights Reserved. Website and SEO by iMod Digital.